Highly qualified professionals with over 15 years of experience! Call 7324298693 Now! We know you have a choice of many landscaping firms. We know that the firm you choose is the one you believe to have the best chance of taking your vision of outdoor bliss and making it real. We also know you that you need a firm that will provide you the perfect balance of design capability, professional and friendly service, and reasonable prices. 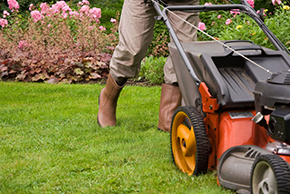 You need look no further; Sanchez Landscaping is all of that and more! If you are thinking about changing the look and style of your property and increasing its curb appeal, the dedicated team of licensed professionals at Sanchez Landscaping can help. The value of your home directly corresponds to how it looks and how well it is maintained. Whether you want to see a dazzling garden from your kitchen window or you want to add a brick patio in your backyard for entertaining when the warm weather starts, we can and want to help you! We work on projects of all shapes and sizes—no job is too big or too small. We work with the latest techniques and best equipment out there. Combine that with our fleet of trucks and we can ensure you that we will service your property in a swift and efficient manner. Sanchez Landscaping wants your property to be the talk of the town and when people ask you how you got your property to look so great, we want you to able to say “Sanchez Landscaping”with pride.